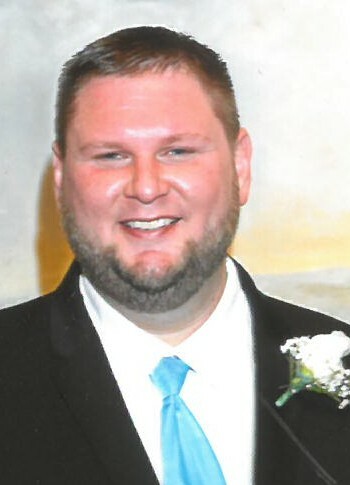 Obituary for Robert Allen | Cromes-Edwards Funeral Home & Crematory, Inc.
ROBERT T. ALLEN, 30, of Sidney passed away unexpectedly Tuesday, April 9, 2019. He was born on June 25, 1988 in New Port Richey, Florida, the son of George Allen and Lisa (Elardo) Allen. Robert is survived by his wife, Laurel. They married on September 1, 2018.Robert was a loving father to Mason and amazing step-father to Aiden and Emmy. Robert leaves behind five siblings, Christina Allen, Danny Kirchens, Adrianne Allen, Joshua Allen and Cody Allen and step-mother, Sue. Robert was preceded in death by both maternal and paternal grandparents. Robert enjoyed hunting and fishing in his spare time. He loved the ocean and watching the sun rise in his beloved home state of Florida. Robert lived and breathed football. He played football actively in high school and college. Robert loved his family more than anything. He was a supportive, kind hearted and genuine man. He loved his wife Laurel, who was his best friend.